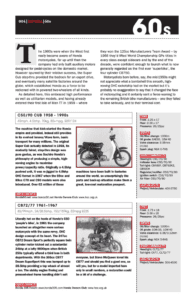 Back by popular demand – we are now offering some of out most popular articles in Mechanics’ history as digital downloads. Each article costs £2.99 (payment by PayPal) and is supplied as a searchable PDF for you to keep forever. From issue 9 (Autumn 1985) this 12-page feature includes everything you need to build a Triton from scratch. Tritons have been in existence for several years and are increasing in popularity. There are many reasons why there are Tritons. One obvious reason is that motorcyclists are notoriously individual and specials have a natural appeal to them; no two Tritons being exactly alike adds further to this appeal. Another appeal of a Triton is that it need not cost a fortune to build and you do not have to lay out all your money in one go. A Triton built to a modest specification can be constructed for around £100*. If you want the full works with Manx frame and forks, alloy wheel rims, tuned Bonneville engine to 1966 spec, £400* is probably a nearer figure. Marchant & Durward, 1967 (* £1,700 and £7,000 will be nearer the mark now). 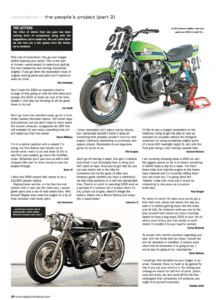 This 26-page article appeared in Classic & Motorcycle Mechanics in issues 80-85 (June to November 1994). As a student Graham, Curtis used his 400/4 as all-weather transport. It lived outside under a plastic sheet back then and he hangs his head now at what he did to it! Still, he’s putting things right on the bike he couldn’t bear to part with. After 12 years’ slumber, Sleeping Beauty needed just a kiss and a cuddle and it soon started up – It’s not all good news however. Rust has attacked all the sheet metal items and the seat is beyond repair. With a little help from the family Maestro the 400/4 miraculously fires up fresh from its hidey hole. This 12-page rebuild appeared in CMM, January to March 2008. 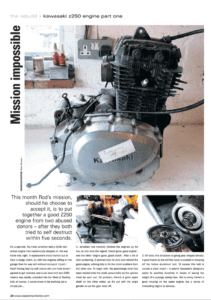 Rod’s mission, should he choose to accept it, is to put together a good Z250 engine from two abused donors – after they both tried to self destruct within five seconds. This 64-page “people’s” restoration appeared in Mechanics between January 2010 and March 2012. So you’ve found the bike you want, you know the finish you want, but just how can you achieve it? It’s all too easy to rush into things, as I’m sure most of you will agree, so take a step back and plan your restoration properly. To aid you along, we’ve spoken with a selection of restoration specialists, each fluent with expertise and knowledge in their individual areas. Good advice is priceless and can save you a few black nails and a lot of time and money. CMM staff writer Bruce Wilson is about to restore his first bike. So, as responsible grown-ups we sat him down and gave him the benefit of our experience. Honda has always been an engineering company. Yet, it took just two years after their first attempt to fill the first three places in both the 125 and 250cc classes at the 1961 Isle of Man TT. Their racing success is notable but it was their road bikes that made their mark on motorcycles around the globe. From the Cub in the 60s through to the Fireblade in the 90s, Honda’s bikes have been at the forefront of motorcycling innovation. 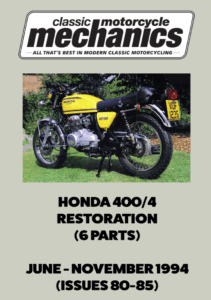 This supplement is a celebration of the bikes we at Classic Motorcycle Mechanics believe to be the most influential Honda have built from the 1960s to the 1990s. We hope you enjoy it. 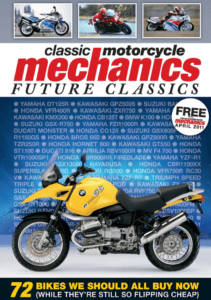 Welcome to Classic Mechanics’ Future classics mini-mag. 15,000 carefully chosen words on the bikes we should all be buying now, because in 10 years’ time, we’ll be kicking ourselves if we don’t. 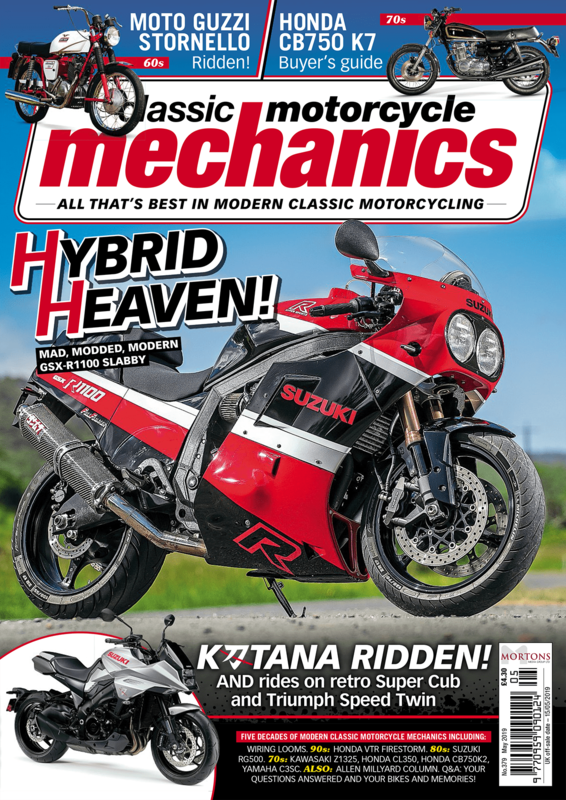 If you’ve ever wished you bought an RC30 15 years ago, when they were £4000 or an old Z1 for £3000 at the same time, this is the mag that will hopefully stop you (and me) making the same mistake again with a 916 or a Bandit 1200. 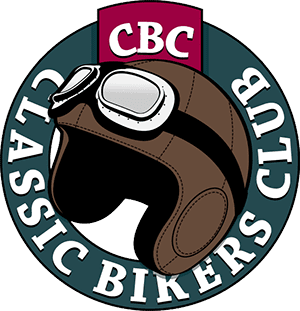 This isn’t about classic bikes as an investment though, old bikes should never be that. This is about the bikes that matter – the ones we rode, loved and sold too soon, or promised ourselves that ‘one day … ‘ Those not-necessarily-beautiful, not-necessarily-reliable and not-necessarily-your-cup-of-tea-but-they-mean-a-lot-to-me machines that we know we’ll want to ride again. Right now many of these 70s, 80s and 90s bikes are bumping along the bottom of the price charts. Forgive the cliche, but there has never been a better time to buy. So please don’t take this as some kind of definitive bible, please don’t get too upset if your personal favourite isn’t here. Barely an hour had elapsed after we finished it before we realised there were three huge omissions (how could we forget the V-Max?). It’s a guide, a trip down (recent) memory lane, a prod, a reminder that now is the time to treat yourself while prices are still low. Although a relative late-comer to the motorcycle party, Kawasaki’s roots stretch all the way back to 1878 and the opening of its first shipyard. Between that far distant date and the first motorcycles being produced Kawasaki has built everything from ships to planes and submarines. But we know the name best for the exciting, in your face motorcycles that have been produced since the 1960s. Some manufacturers have a heritage of quality, others reliability. Kawasaki has always been a brand that has been associated with excitement. 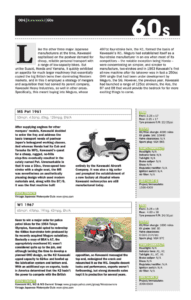 From the frenetic two-stroke triples through the seminal Z1 900 of 1972 to the fastest production motorcycle title holding ZZ-R1100 … who can catch a Kawasaki?